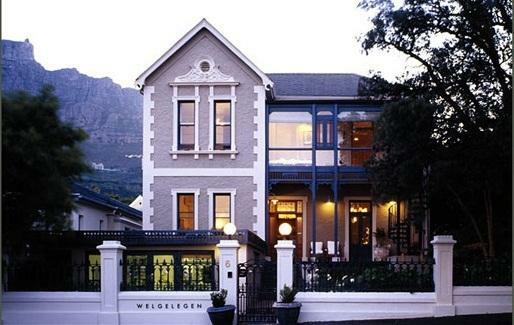 An urban sanctuary in the heart of Cape Town, Welgelegen sits in a tranquil Victorian cul-de-sac based at the foot of Table Mountain. 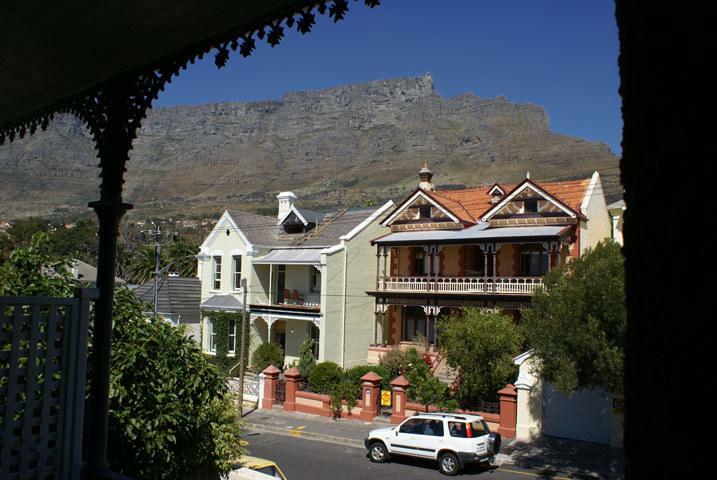 Within a short walk to some of Cape Towns best local restaurants, bars and museums, and a within a Fifteen minute drive of most of Cape Town's major tourist attractions such as the Table Mountain Cable-Car, Camps Bay, The Waterfront and Kirstenbosch Botanical Gardens. 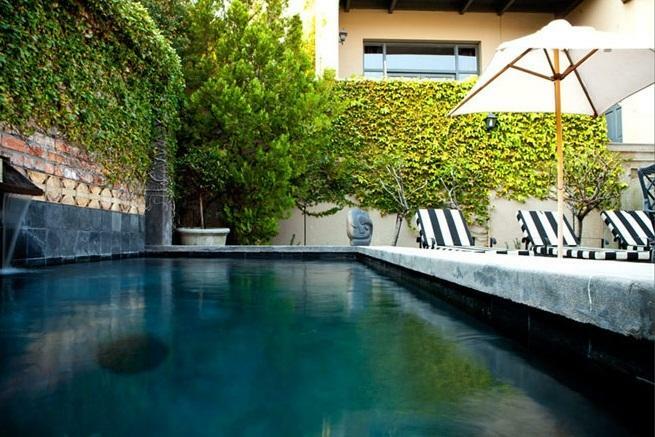 This Cape Town Boutique Hotel is as its name translates, well situated. 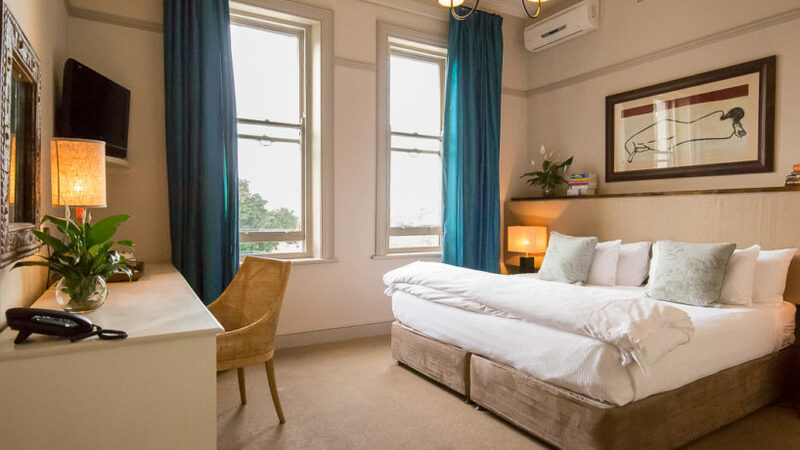 A delightfully unpretentious yet sophisticated boutique hotel in Cape Town, Welgelegen offers warmth, style and intimacy with it’s Thirteen individually styled en-suite bedrooms. 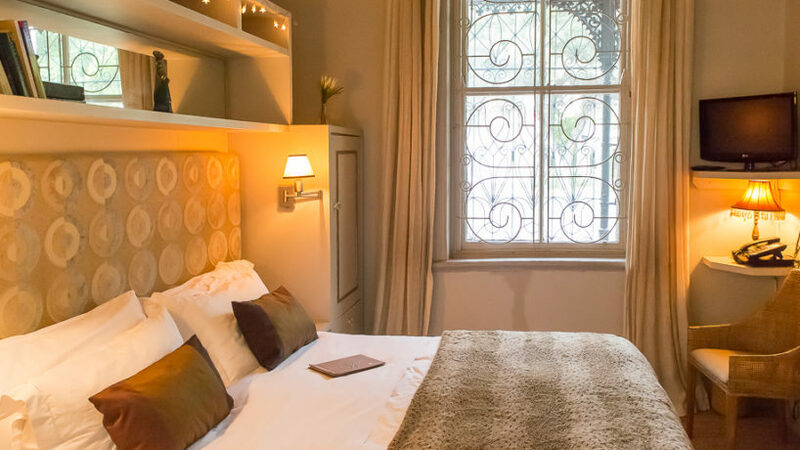 In each and every room, no comfort is spared, from Wi-Fi and aircon to DVD players and hot water bottles as well as the personal touches such as home-made biscuits, fresh fruit and Welgelgen’s own line of “green” toiletries. 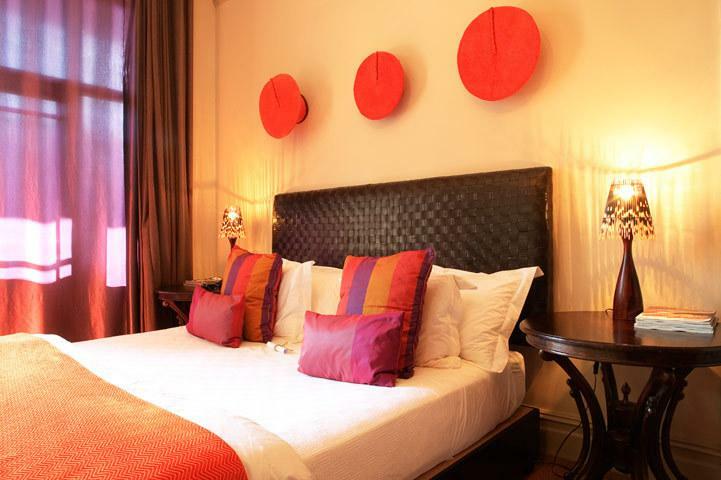 This is a boutique hotel that thrives at taking the stress and strains out of one’s holiday experience. 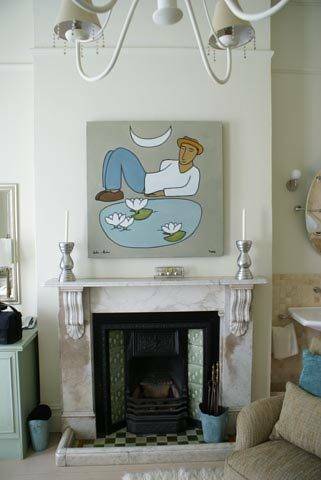 A spacious high ceilinged sitting room and a cosy yet rich library adjoin a grand breakfast room, all of which filled are with contemporary furnishings and eclectic African art. 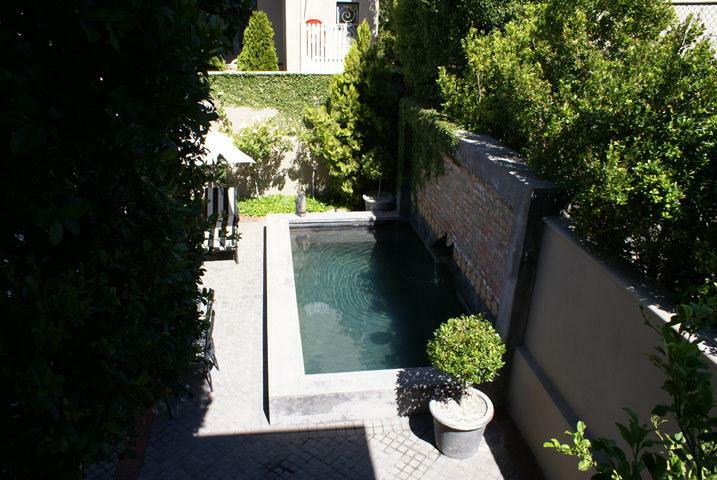 In turn, the breakfast room leads to a cobbled court-yard frequented by our resident Hadedahs and houses a plunge pool that one can cool off in after absorbing the southern African sun. 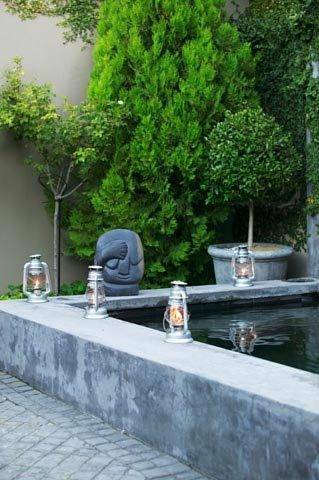 Welgelegen is truly a peaceful haven in the heart of town. 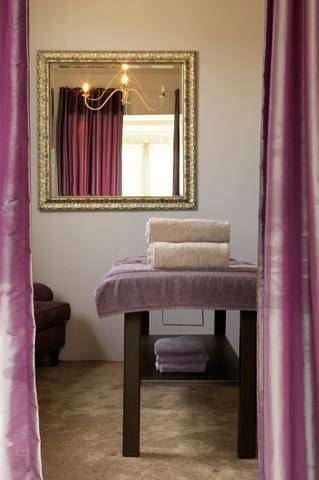 The in house therapy room offers treatments from pedicures and manicures to deep tissue massages and flight recover packages, it is definitely something to consider if you have should wish to be pampered. All in all, this is a professionally run centrally located urban sanctuary that offers a warm tranquility that is difficult to refuse. Payment is due in full, upon receipt of tax invoice. 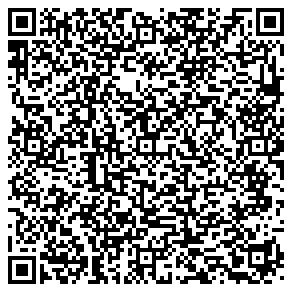 Please confirm the estimated time of arrival of your clients. 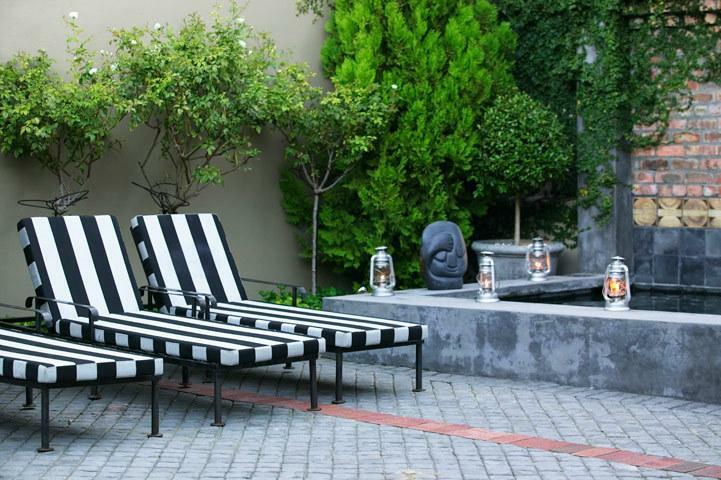 Welgelegen offers 13 en-suite rooms, a dining area, lounge, swimming pool and courtyard connecting two Victorian-era homes Stephen & Hofmeyr House. 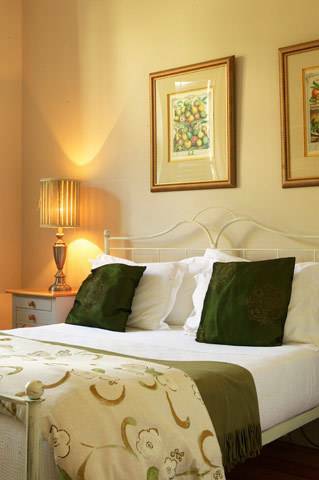 ONLY ONE deluxe air-conditioned en-suite bedroom which is downstairs and has an open plan room and bathroom. This room cannot be converted into a twin. 6 superior air-conditioned en-suite bedrooms. 5 superior air-conditioned en-suite bedrooms. The rates for the min-deluxe are non commissionable. 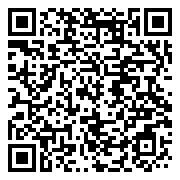 Mostly used by online bookers. Provisional bookings will be released after 21 days. Deluxe Room - Deluxe Rooms are our second category and are just a little smaller than our Superior rooms. 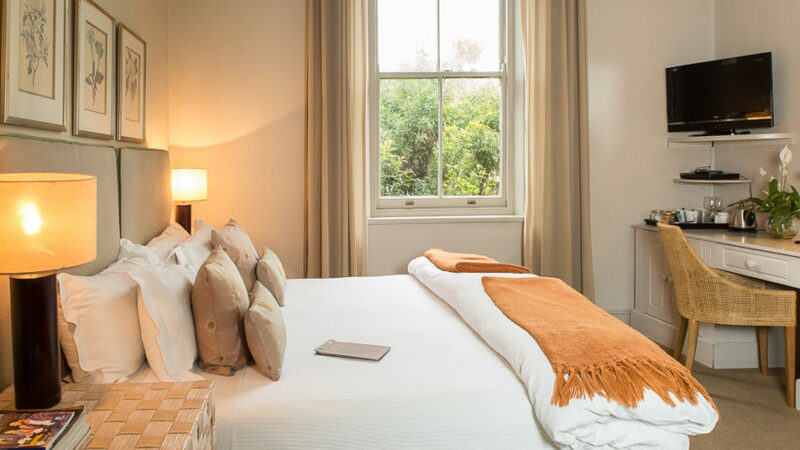 Two have Juliette balconies and King / Twin beds and the third is larger with a King bed only, fireplace and open plan travertine bath in the room. 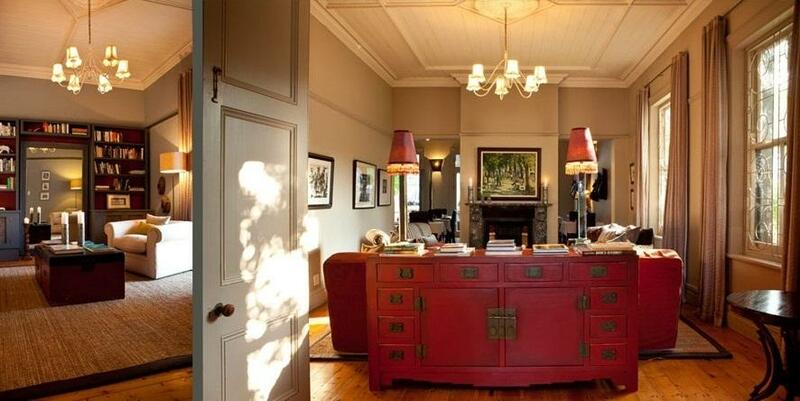 Each room has an armchair/s, phone, DSTV, bar fridge and desk. 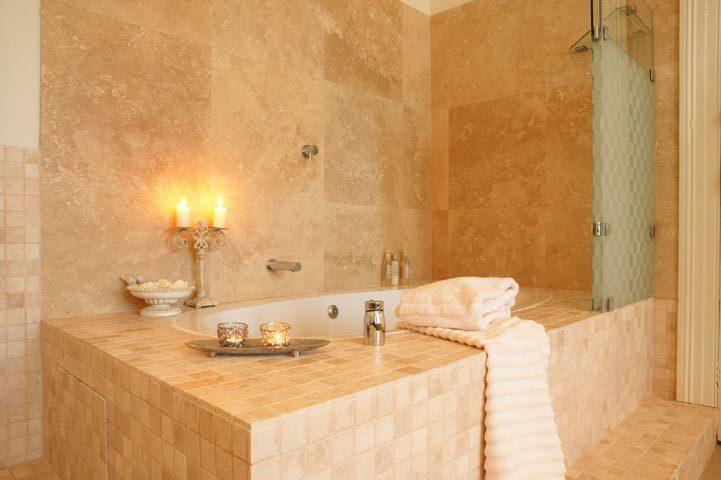 All bathrooms have both shower and bath, mostly separate. 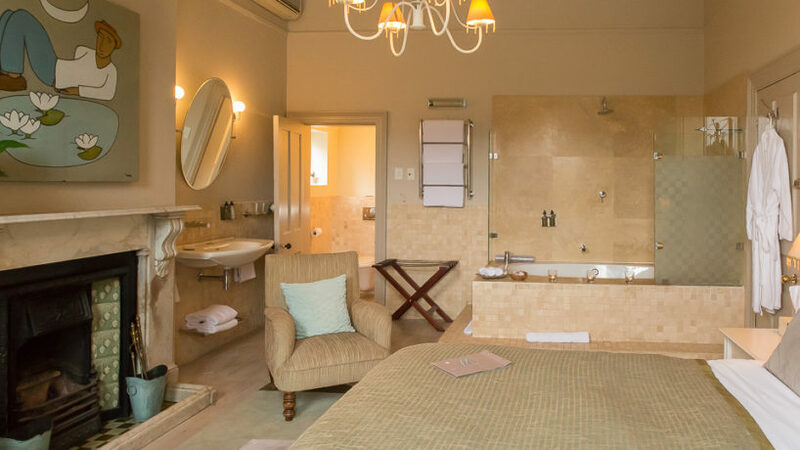 Bathrooms have Welgelegen’s own ‘green’ toiletries and heated toilet rails. All rooms are high ceilinged and light with individual décor. 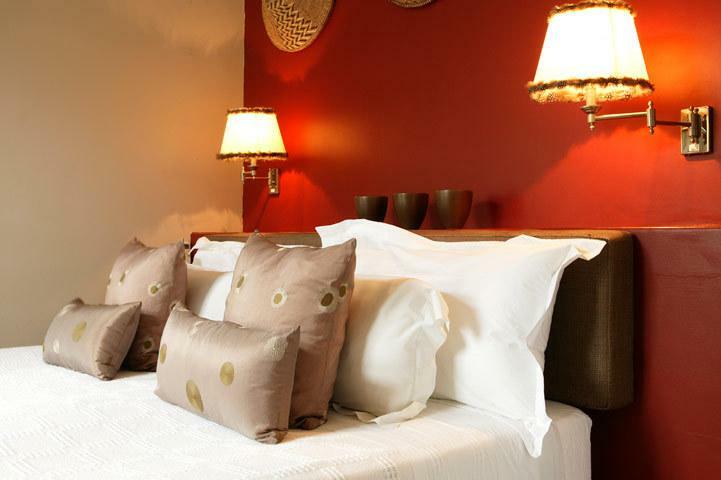 Deluxe Rooms are our second category and are just a little smaller than our Superior rooms. 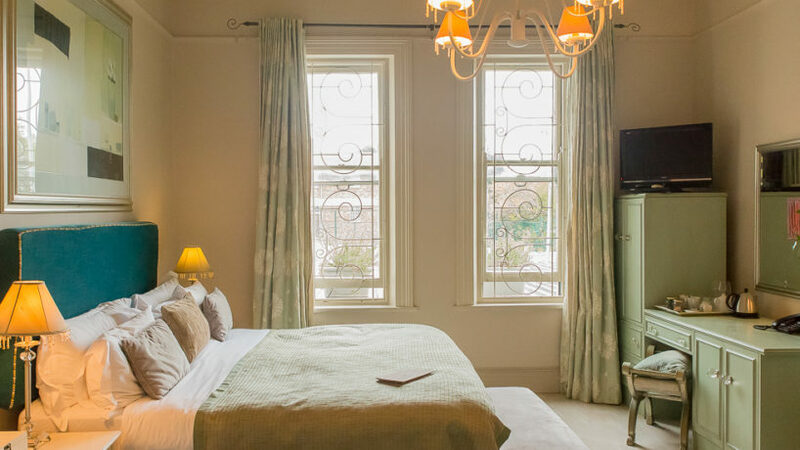 Two have Juliette balconies and King / Twin beds and the third is larger with a King bed only, fireplace and open plan travertine bath in the room. Each room has an armchair/s, phone, DSTV, bar fridge and desk. 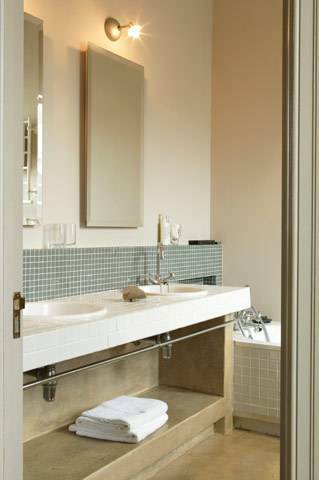 All bathrooms have both shower and bath, mostly separate. Bathrooms have Welgelegen’s own ‘green’ toiletries and heated toilet rails. All rooms are high ceilinged and light with individual décor. Mini Deluxe Room - Our Mini-Deluxe is smaller (we prefer cozier!) 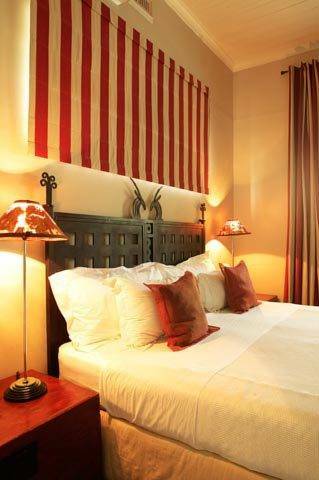 than our other rooms at Welgelegen Boutique Hotel and without the balcony. 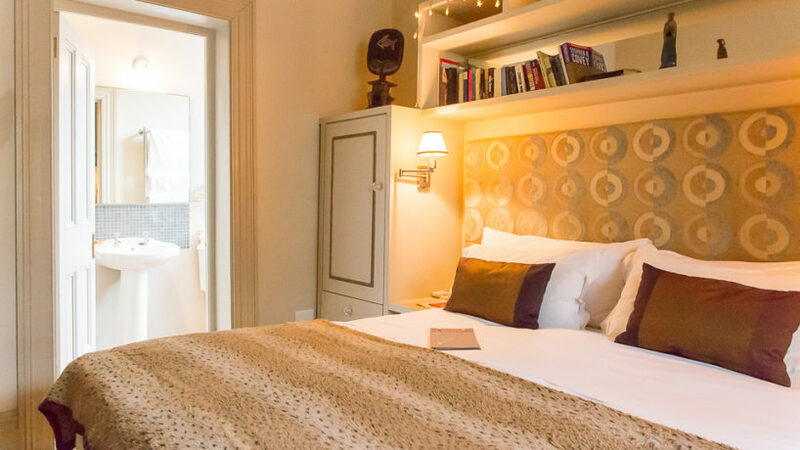 It has a double bed and a shower only, but otherwise, it has all the amenities and charm of our Superior and Deluxe rooms. 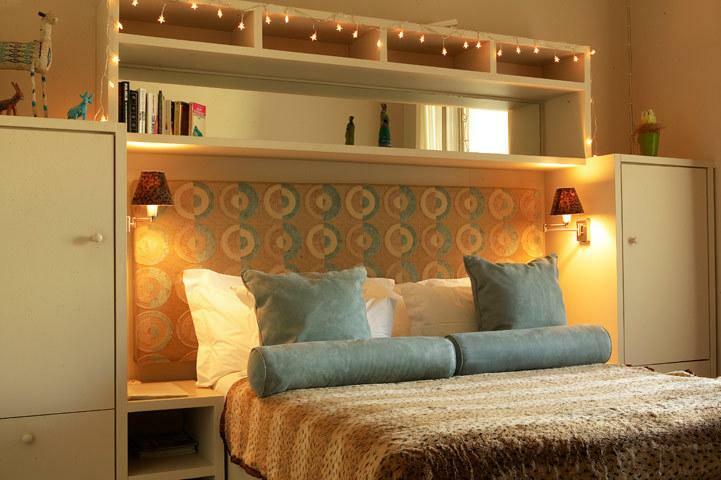 Our Mini-Deluxe is smaller (we prefer cozier!) 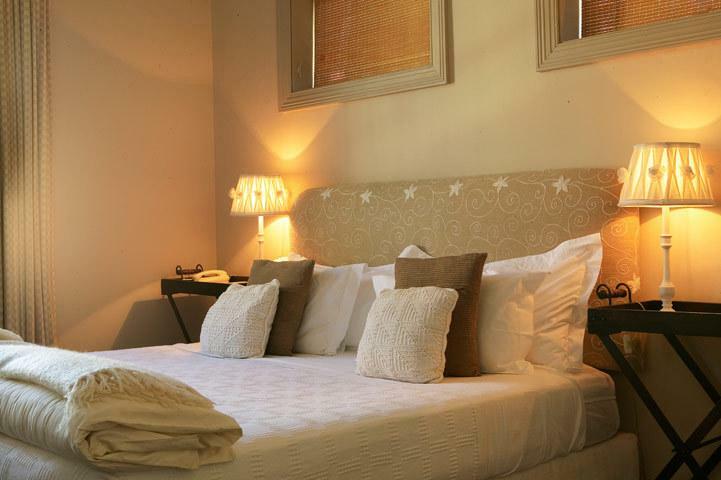 than our other rooms at Welgelegen Boutique Hotel and without the balcony. 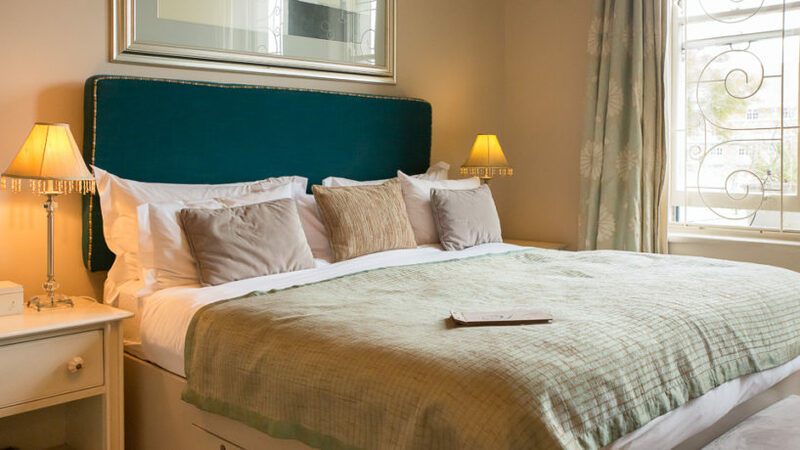 It has a double bed and a shower only, but otherwise, it has all the amenities and charm of our Superior and Deluxe rooms. 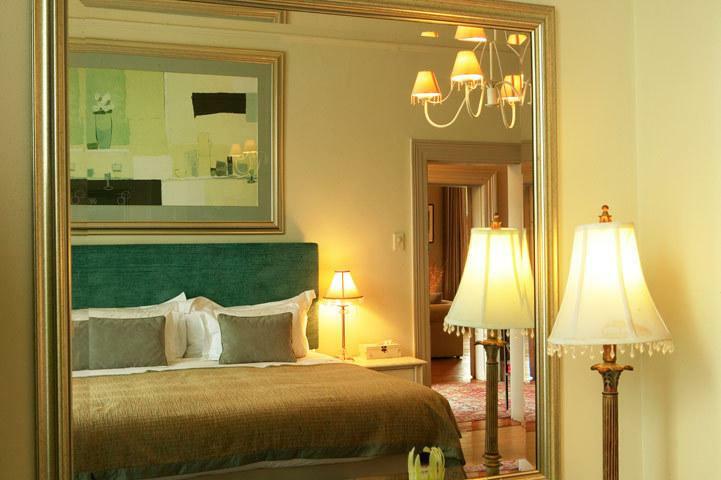 Superior Room - Superior Rooms are our larger category, and have bigger balconies and views. One room has Queen bed only but also a private garden. The other rooms each have either King or Twin beds, armchair/s, phone, DSTV, bar fridge and desk. All bathrooms have both shower and bath, mostly separate. 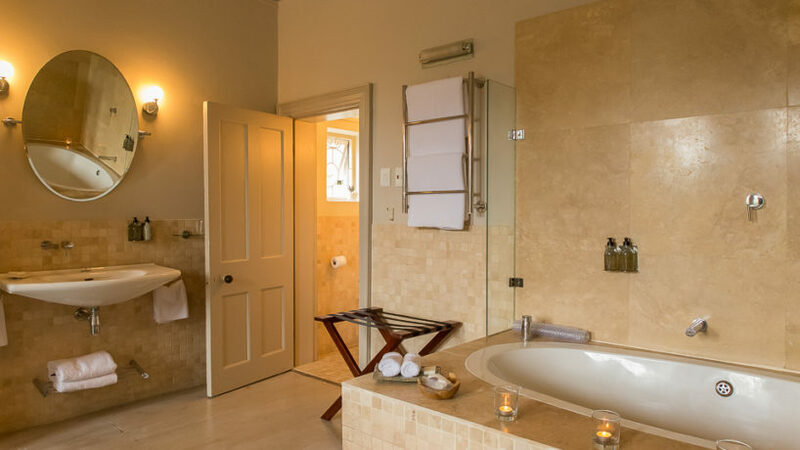 Bathrooms have Welgelegen’s own ‘green’ toiletries and heated toilet rails. All rooms are high ceilinged and light with individual décor. 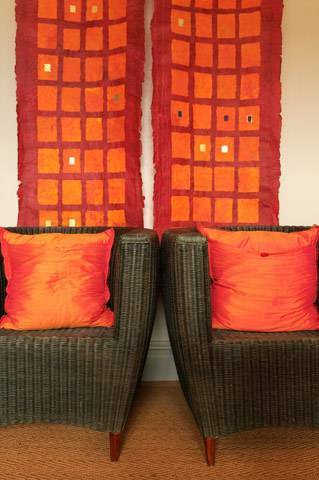 Superior Rooms are our larger category, and have bigger balconies and views. 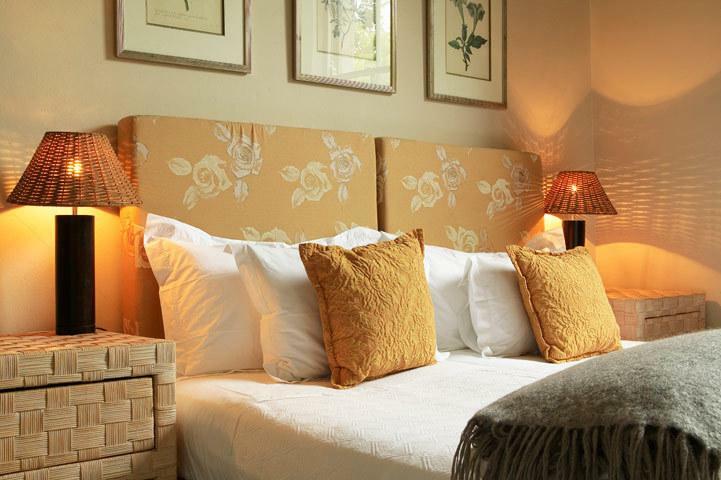 One room has Queen bed only but also a private garden. The other rooms each have either King or Twin beds, armchair/s, phone, DSTV, bar fridge and desk. All bathrooms have both shower and bath, mostly separate. 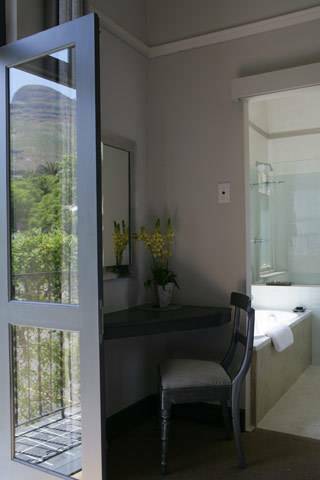 Bathrooms have Welgelegen’s own ‘green’ toiletries and heated toilet rails. All rooms are high ceilinged and light with individual décor.